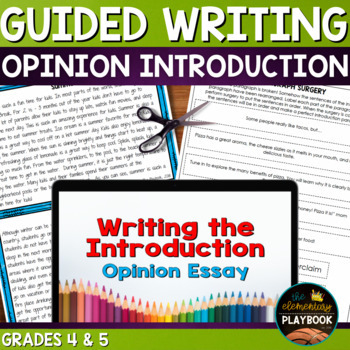 This Opinion Introduction Writing Lesson will have your students writing great introductions in no time. These resources will help prepare your students for FSA writing and almost any other state test. 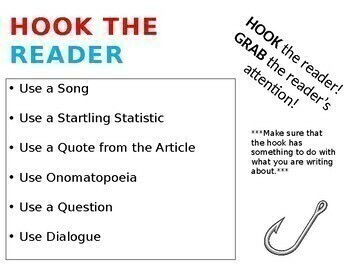 Included in this resource are student pages that will allow your students to follow along with the PowerPoint and to practice writing great opinion introductions. 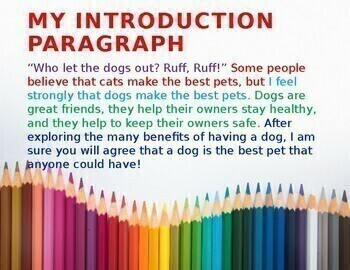 The resource is a quick, easy, and surefire way to get your students writing opinion introductions like never before. This is a zip file, so be sure that you have the appropriate software to download this media type. These items are ready to go, and will make a perfect addition to any writing unit. They were designed for 4th and 5th graders but could be a great resource for advanced 3rd graders. They could also be used as a great review for 6th graders! In this PowerPoint I use KG Blank Space Solid from KG Fonts. You can download the font for free by clicking on the link. Don't forget that leaving feedback earns you points toward FREE TPT purchases. Your feedback helps me to better meet your needs as a seller. It also helps me to ensure that I am providing you all with quality products. Follow me and be notified when new products are uploaded. New products are always 50% off for the first 24 hours they are posted. This can help ensure that you get a great bargain on my products. Please feel free to contact me with any questions, comments, and or concerns.